crafty goodies: Celebrate, the 4th of July!!!! These are gorgeous! Happy 4th!!!! Happy 4th! 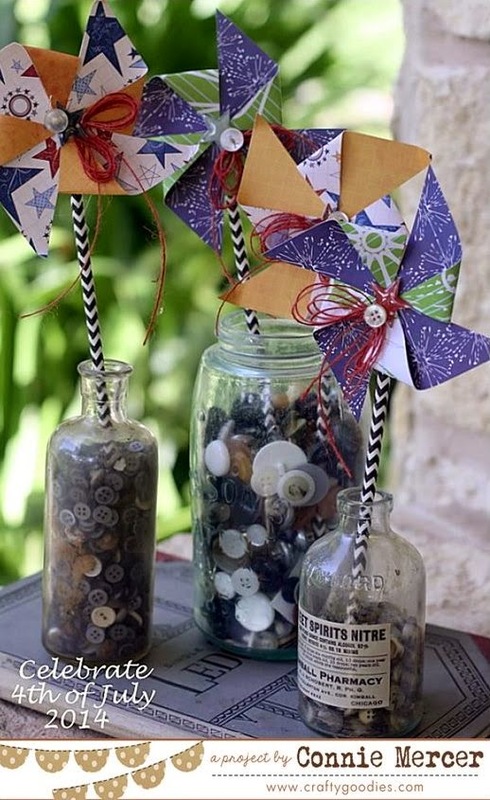 Love the pinwheels. Awesome pinwheels, Connie! (Love those bottles too!) Happy 4th of July! Perfect elements for the 4th of July celebration.